Phaneuf Funeral Homes and Crematorium has been serving the public since 1906 and is one of the oldest continually-owned family funeral homes in New Hampshire and in New England. Currently operating four full-service funeral homes, four crematories and a cremation society, we are proud to be the largest provider of funeral and cremation services in New England. Phaneuf acquired Ker Westerlund Funeral Home, a publicly owned funeral home that has served the Brattleboro, Vermont region for more than 150 years. The purchase provides Phaneuf the ability to support families in western NH, Keene and southern VT and will be the first Vermont location of The Cremation Society of NH. Phaneuf assumed the business operations of Adams Funeral Home in Ludlow and Chester, VT.
Phaneuf acquired Cate and Johnson Funeral Home, an independently owned, family-run funeral home that has served the Manchester area for close to 100 years. 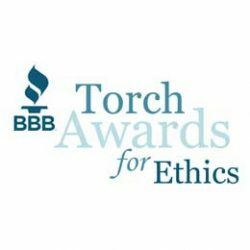 In their 17th annual awards ceremony, the Better Business Bureau awarded Phaneuf Funeral Homes and Crematorium with the 2017 Torch Award for Marketplace Ethics, the award they bestow on the most ethical businesses in New Hampshire. The BBB conducts an annual awards program to give public recognition for businesses and organizations that maintain a solid commitment to conducting their business practices in an ethical fashion. In November 2016, Phaneuf Funeral Homes & Crematorium was named the recipient of the prestigious 2017 Innovation & Excellence Global Award by Corporate LiveWire, whose panel of judges select award winners based on high levels of merit, excellence, innovation and strong leadership shown throughout the course of the year. The highly sought after award is meant to give recognition to businesses that are transforming their respective industries. We continue to grow and offer exceptional support to our customers. Our community-minded approach and decades of institutional knowledge have made us a resource to current clients, local businesses and even new visitors to our website. In May 2013, Phaneuf Funeral Homes & Crematorium earned the Achievement of Excellence – the highest recognition level in the Granite State Quality Awards. This recognition is based on the Baldrige Criteria for Performance Excellence, which is accepted around the world as the standard for organizational performance excellence. Phaneuf earned this recognition, in part, for our customer-focused culture and our approach to strategically grow and sustain a family-owned business in an industry where larger corporate chains are the trend. The Manchester Historic Association presented the City Landmark Award to Phaneuf Funeral Homes & Crematorium for the Coolidge Avenue location at its 20th Anniversary Historic Prevention Awards. The City Landmark Award distinguishes a building for its importance historically and architecturally, as well as for all the efforts that have been made to maintain and renovate the structure. Phaneuf Funeral Homes was recognized at the 12th annual BBB Torch Awards for having achieved a “perfect record” of no complaints filed with the Better Business Bureau of NH for three consecutive years. The Torch Awards honor select businesses showing prowess in marketplace ethics through trust, performance and integrity. Award winners are recognized for their outstanding business practices and for promoting a trustworthy marketplace for all. In late 2010, looking to expand into the northern part of the state, Phaneuf Funeral Homes purchased Pillsbury Funeral Home in Littleton. Operating the home were Todd and Sue Pillsbury, who wanted to continue serving the needs of Littleton families. The newly named Pillsbury Phaneuf Funeral Homes and Crematorium now provides a range of options not otherwise offered in the area, such as a funeral-home owned crematory, state-of-the-art website, package pricing and digital slideshows. Early in 2007, Phaneuf Funeral Homes acquired Affordable Funeral and Cremation Services, a small limited-service funeral home in Boscawen. The following year, the firm expanded the Boscawen facility, adding parking for 40 vehicles and a 75 seat chapel, making this facility the newest and most state-of-the-art in the Concord area. The full multimedia chapel not only provides functionality for visitations and memorial services, but allows the firm to offer a variety of community service events and guest speakers. The chapel and parking enhancements were completed in October of 2008 and kicked off with a November open house. Our Coolidge Avenue Funeral Home is also known as the Eugene and Mary Quirin House, for its previous owners. 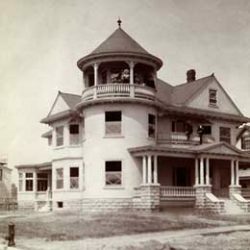 The Quirin House has been owned by only two families since its construction in 1906. Eugene Quirin immigrated to Manchester from France in 1883 and became one of the West Side’s most successful businessmen and prominent citizens. The Phaneuf family acquired the property in 1955 and converted it to a funeral home. In 2006, this building was added to the NH Registry of Historic Places with note of its prominent corner turret and rich Queen Anne style decoration. As more of customers began to opt for in-house services, Phaneuf added a second chapel to meet their needs. The “Hanover” Chapel has seating for over 100 guests and incorporates state-of-the-art features including audio and video taping services, large screen monitor for various multimedia displays and a high-end sound system. The room is appointed with handmade stained glass windows, custom made pews and offers a large gathering area of over 1500 square feet. In addition to the chapel, a private family viewing area for families considering cremation was added. Over $100,000 was spent updating the crematorium to include a closed circuit television security system, and a family witnessed cremation area, making it the most up to date facility of its kind in the state. Finally, the selection of merchandise, including caskets, vaults, flowers, urns, and monuments was broadened and housed in a larger space. After two years of litigation which ended in a lawsuit against the City of Manchester, Phaneuf Funeral Homes was granted the right to install the city’s first crematorium at its 243 Hanover Street location. Since going on-line in March 1995, Phaneuf crematorium has conducted more cremations than any other funeral home in New Hampshire. 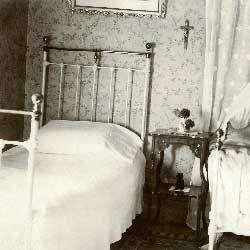 Later that same year, Phaneuf became the first funeral home in the area to open up a nondenominational chapel. The chapel, which holds 70 people, is adorned with beautiful lead-coated stained glass imported from Europe. Today the chapel is used frequently for funeral and memorial services. In keeping with a year of changes, the firm changed its name from Phaneuf and Letendre Funeral Homes to Phaneuf Funeral Homes and Crematorium, which was much more fitting. In 1989, John Phaneuf handed management of the company to his son, Arthur “Buddy” Phaneuf, after serving as director for three decades. Buddy became the fourth generation Phaneuf to manage the firm. 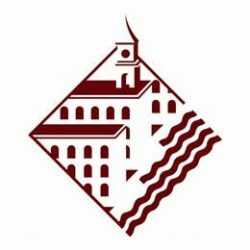 This year also saw Phaneuf become one of the first funeral homes in the state to be computerized. During the late 1960s and early 1970s, Phaneuf and Letendre were assisting over 350 families a year. With the acquisition of Letendre Funeral Service a few years earlier, the firm not only handled services for much of the west side French Canadian population, but also Greek, Lebanese and Canadian residents living in the downtown area of the city. Yet again, the firm needed to expand to accommodate their customers’ needs. Plans were made to construct the first stand-alone funeral facility in Manchester; in the fall of 1975, the brand new, 10,000 square foot building on the corner of Hanover and Union Streets was opened. With its spacious viewing rooms, large lobby, ample parking and stylistic decor, this new facility provided Manchester families with a funeral home that could meet all of their needs. Indeed, today, this funeral home is considered among the largest and finest in all of New England. Phaneuf Funeral Home acquires Letendre (Letendre and Derry) Funeral Homes in Manchester. Wanting to expand to the east side and downtown areas of Manchester, Phaneuf Funeral Homes purchased Letendre Funeral Service, which consisted of two funeral homes—one on Hanover Street and the other on Belmont Street. For the next 27 years, the firm would be known as Phaneuf and Letendre Funeral Homes. In early 1955, the Quirin mansion came up for sale on the corner of Coolidge Avenue and Bremer Street. Phanuef purchased the home and converted this west-side landmark into Manchester’s largest funeral home. Two of the building’s four floors were used by the family for their living quarters. That same year, Arthur’s son, John, joined the firm and the name was changed to Phaneuf and Son Funeral Home. After working with his father and brother in the funeral business in Nashua for several years, Arthur Phaneuf decided that he wanted to strike out on his own and become a funeral director. In the summer of 1935, he moved his wife and three small children to Manchester. He leased a small building on Notre Dame Avenue across from the Notre Dame Hospital on Manchester’s west side and opened for business under the name A.O. Phaneuf Funeral Home. Within a few years, his business had outgrown its humble beginnings and moved to a larger space at 508 Dubuque Street on the corner of Kelley Street, where Phaneuf Funeral Home would operate for the next 18 years. Jean-Baptiste Phaneuf, a Nashua native, opened the first Phaneuf Funeral Home on Whitney Street in 1906. Eventually moving to Canal Street, the business would serve the French Canadian population of Nashua for the next 75 years.